Muay Thai is a striking art that utilizes attacks from the fists, elbows, knees, and feet. Strikes can be thrown from long, mid, or close range. There is also an element of grappling in Muay Thai referred to as the clinch. Very different from the grappling techniques used in Brazilian Jiu Jitsu, clinch maneuvers are used to set up knee and elbow strikes or to throw your opponent to the ground. Below are what I believe to be some of the top benefits from Muay Thai training. 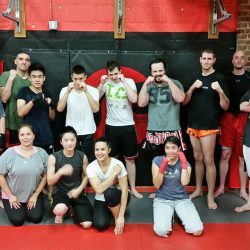 I have played many sports and partaken in a large variety of physical activities over the years, and none of them have come close to delivering the cardiovascular conditioning that Muay Thai offers. Being both aerobic and anaerobic, Muay Thai places huge stress on your cardiopulmonary systems. 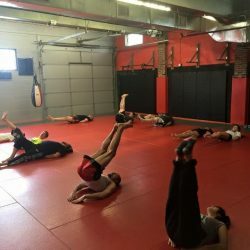 With continued Muay Thai training, your body will adapt to the demands of the sport, and improved cardiovascular performance is one of the payoffs. Kicking and footwork play a large role in Muay Thai Kickboxing. One movement that is distinctive to Muay Thai is the roundhouse kick. Learning how to kick strengthens the musculature of the lower body. Every muscle in your lower body will benefit from practicing the various kicks and footwork drills incorporated in the sport. 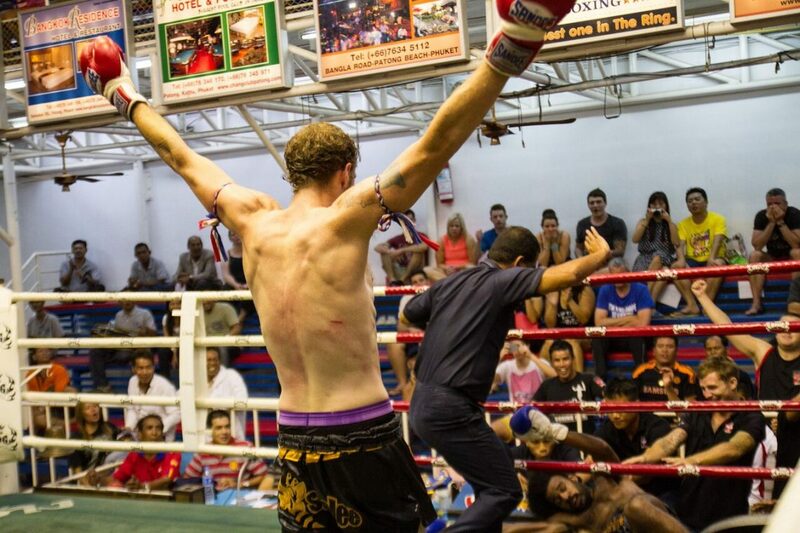 From muscle endurance, force production, agility, to just plain old good looking calves, Muay Thai delivers. Core is not a word I like to use a lot. Generally when someone refers to their core, they’re referring to their abdominal muscles. This drives strength and conditioning professionals crazy. Your core is every single muscle located on your trunk, not your damn six pack. But I digress. The rotational nature of all of the movements in Muay Thai training does strengthen your core. Getting punched in the body will also help a little. 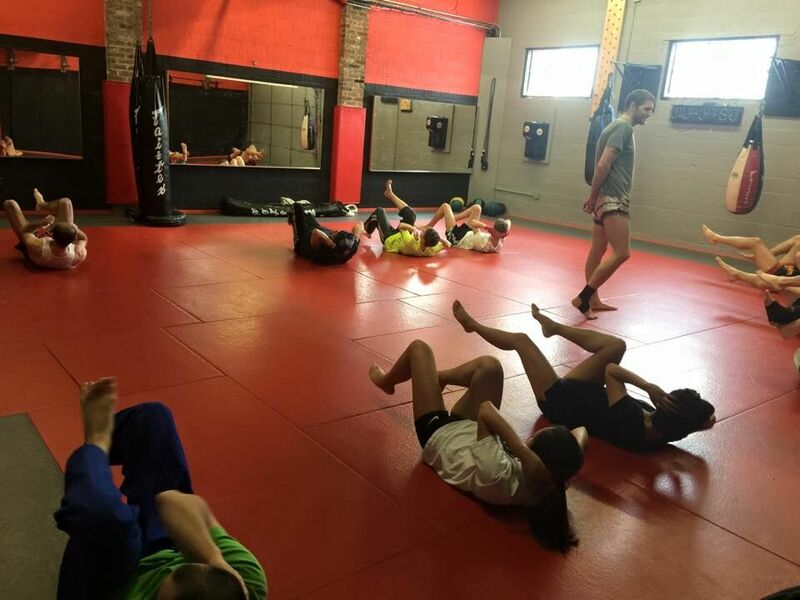 Striking, defensive movements, and clinching will all help the Muay Thai student develop a strong core. 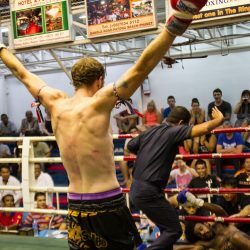 I personally think this is the most important benefit Muay Thai can provide. The majority of us accumulate a fair amount of stress during the day. Having an outlet for that stress feels fantastic and can work wonders for your mental and physical health. Let’s face it, when you’re pissed off at work or stressed about bills, hitting something just feels good. Due to the fast-paced nature of the sport, you can’t trouble yourself with worry while training. You’ll get hit in the face or mess up the drill you’re working on. 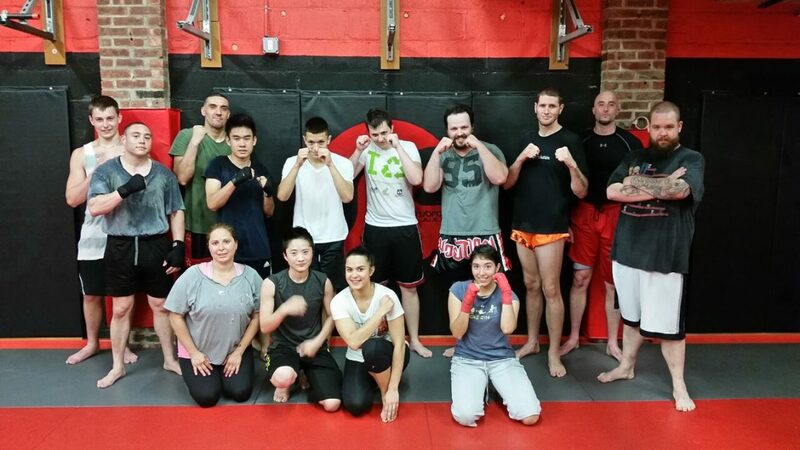 Muay Thai classes allow you to focus on yourself and nothing else. I believe doing something regularly that detaches you from the daily grind helps you become a happier and more carefree individual. 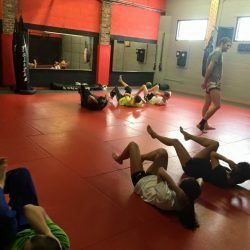 Our program is run by Coach Sean “Woody” Woodham who has several years experience teaching classes, fighting, and training fighters. Coach Woody has trained under living legend Kaensak Sor Ploenjit, as well as some local Muay Thai standouts. His martial arts training has even taken him to Thailand where he lived and fought for a stint from 2013 to 2014. His passion for Muay Thai kickboxing and desire to watch his students progress is the driving force behind Jai Su Gym. Jai Su means your heart will not give into defeat. We will always keep pushing through!